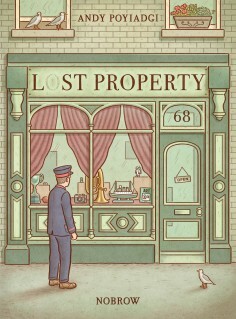 You cannot add "Lost Property" to the cart because the product is out of stock. 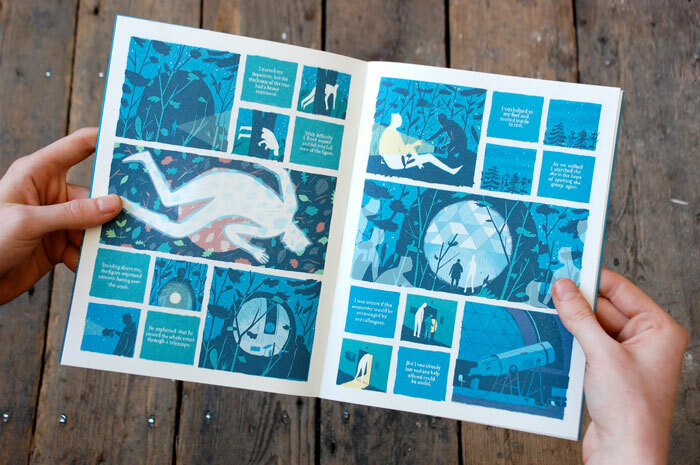 Robert Hunter’s first comic for Nobrow Press took TCAF by storm, selling out on the first day of the event! The book is a beautiful, poetic story that is surprising in its adeptness for the medium of graphic storytelling, considering it is Robert Hunter’s first attempt at a self contained comic book. 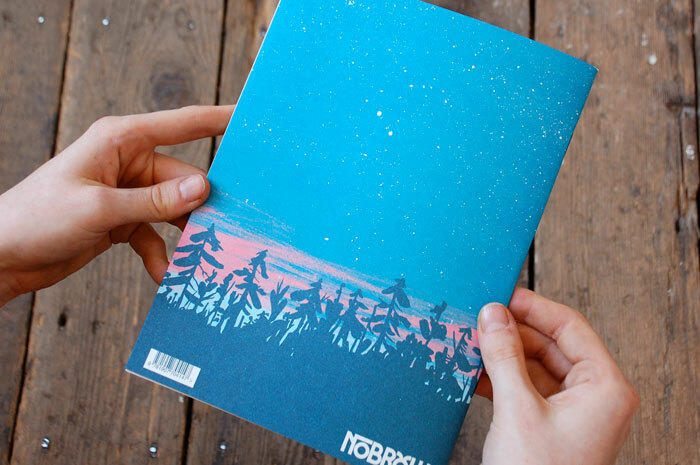 We absolutely love it and were extremely proud to publish it, and we think you will rather like it too. As a flock of ghosts drift through the night, one of their number struggles to keep pace with their speed and ethereal elegance. As a new recruit, the inexperienced spirit has a lot to get to grips with: flight and quantum tunnelling prove to be a little more difficult at first than most humans realise, for a start. 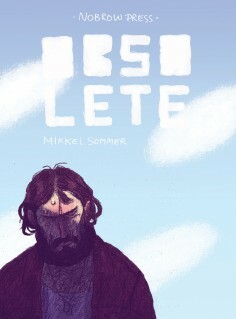 Forced to learn on the job, a metaphysical shortcut to keep up with his comrades sees the phosphorescent phantom get stuck in a tree just outside the perimeter of the town’s towering observatory. 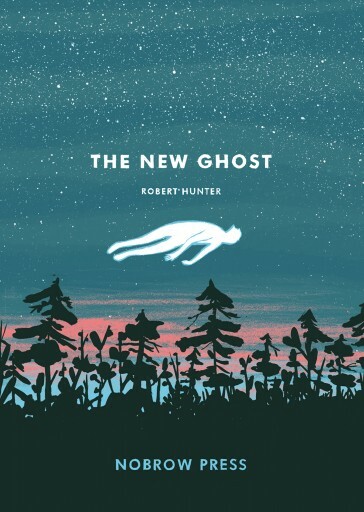 Robert Hunter and Nobrow Press introduce The New Ghost, a beautifully rendered, literally haunting tale of the afterlife intersecting with the everyday and the hidden secrets of the night sky. 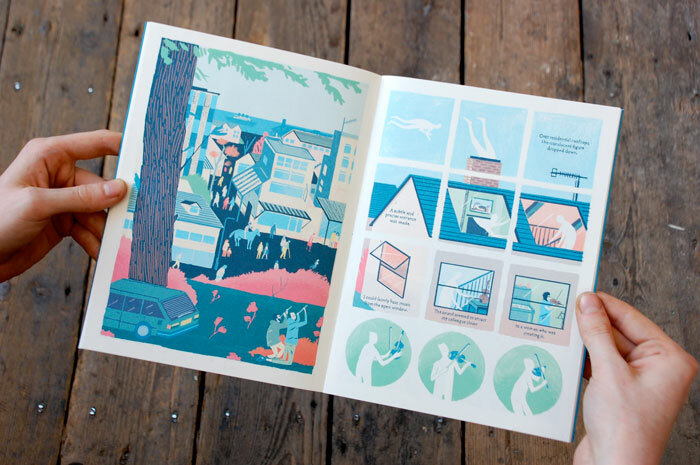 A stunning solo debut into the world of graphic narrative, Hunter’s entry into Nobrow’s 17×23 series impressed widely at its debut at Toronto Comic Arts Festival. 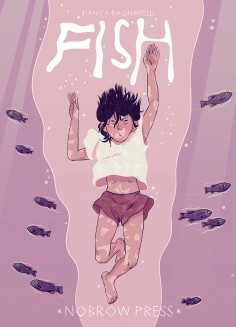 As leading Canadian arts blog Squidface & The Meddler put it: “Rob Hunter’s art runs against many of the strong currents in the world of comics…how often do you come across a comic that’s light as air, dreamy and poetic?”. 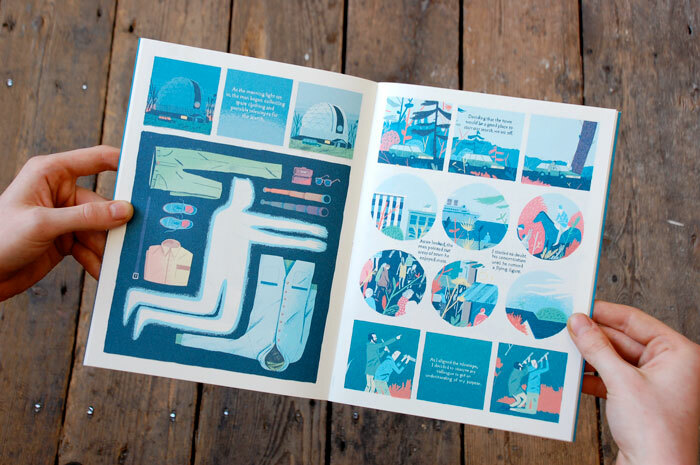 Robert Hunter graduated from U.W.E Bristol in 2007 and has been working as a freelance illustrator since. 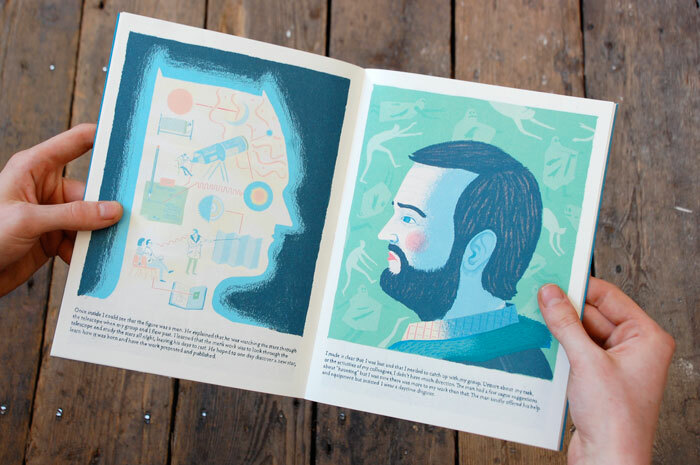 Alongside his professional practice, Robert always makes time to pursue personal projects, such as his growing body of narrative work. 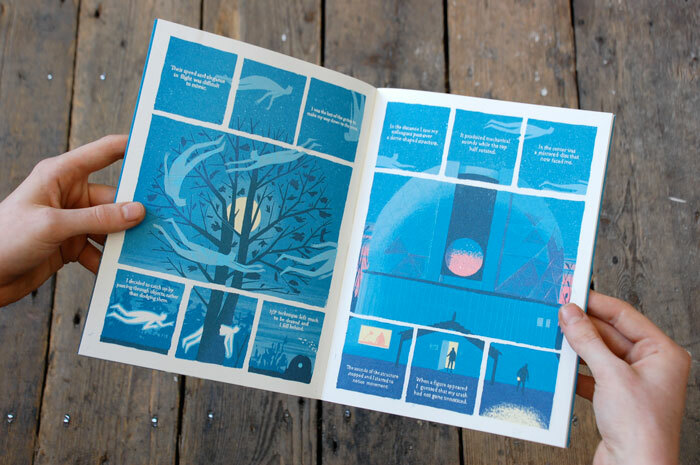 For Nobrow, he has produced a 7 page comic which appeared in 2010’s A Graphic Cosmogony, a beautiful tale of creation and destruction told in a bold but gentle manner entirely new to the field of comics. 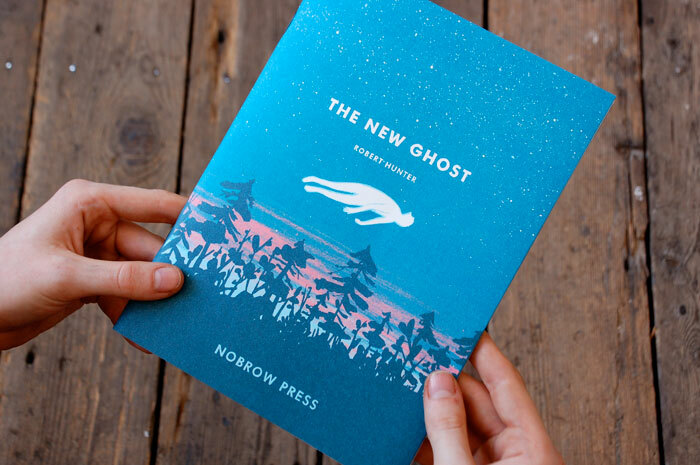 The New Ghost is his first solo comic with Nobrow.